Rama Navami - Saturday, March 28, 2015 ~ The Toronto Hare Krishna Temple! On Saturday, March 28, 2015, Toronto's Hare Krishna Centre will mark the Appearance Day of Lord Rama (also known as Rama Navami). Lord Rama is the incarnation of Lord Krishna as the perfect monarch. He enacts His lila, or pastime, of killing the evil king Ravana and establishing virtue, by personal example, throughout His kingdom. 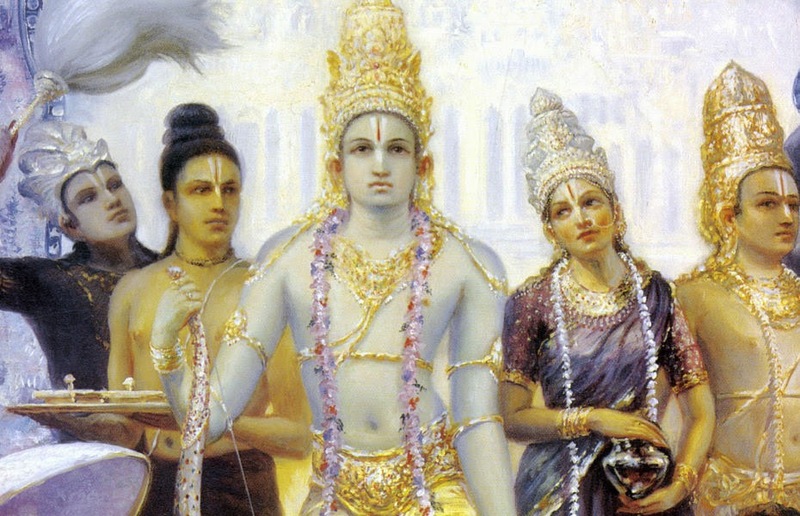 The epic story of His transcendental adventures is told in the scripture Ramayana in which one reads of His unfailing devotion to His wife Sita and Their affectionate dealings with Lord Rama's many family members, particularly His devoted Brother, Lakshmana. Celebrations will begin at 6:00pm and will include a special arati ceremony for Lord Rama and will be an extended program with plenty of festivities. More details to follow! We hope you can join us for this auspicious occasion with your entire family!